Let me first start off by apologizing that there is no link for #7. Unfortunately in the time it took me to find this jacket and put it into this layout, the product was gone. That's what happens on the internet I suppose, one day it's there and the next it's gone. The jacket is from Loehmann's and they have other cute coats if you're interested. So, now that, that is out in the open.... Let's discuss how adorbs these jackets are!! 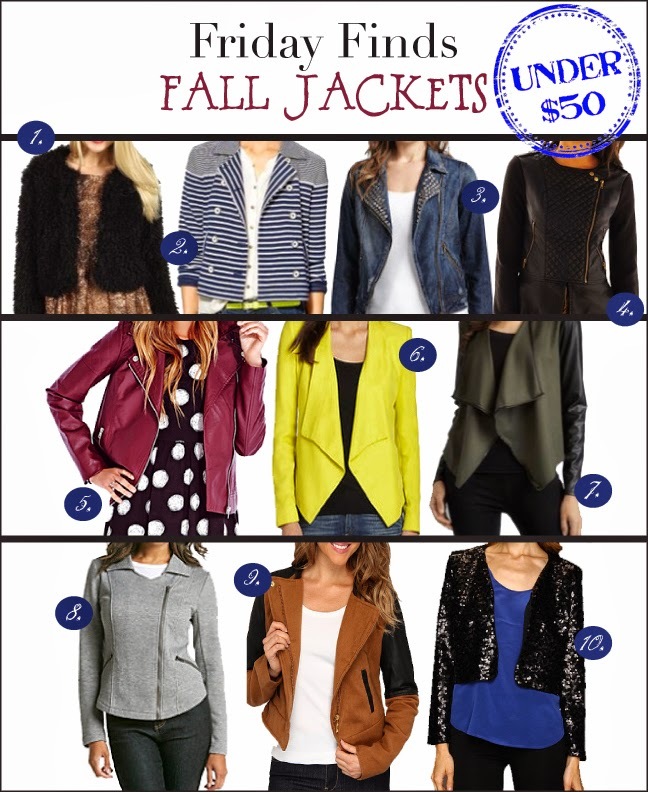 I can't believe I how many adorable jackets I found for under $50! I would like 1, 4, 6, 9 and 10 ASAP! Um. Yes. 5,6,8 &9, please!